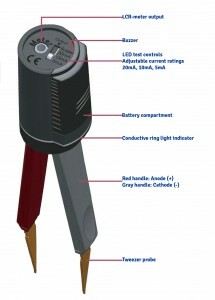 Siborg has begun offering the LED Test Tweezers. 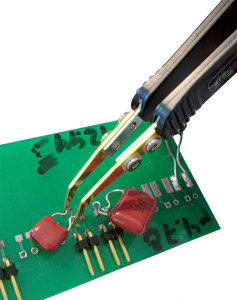 This easy-to-use device makes testing LEDs, switches, fuses, circuitry,, wire connections and other small components easy and time-saving. 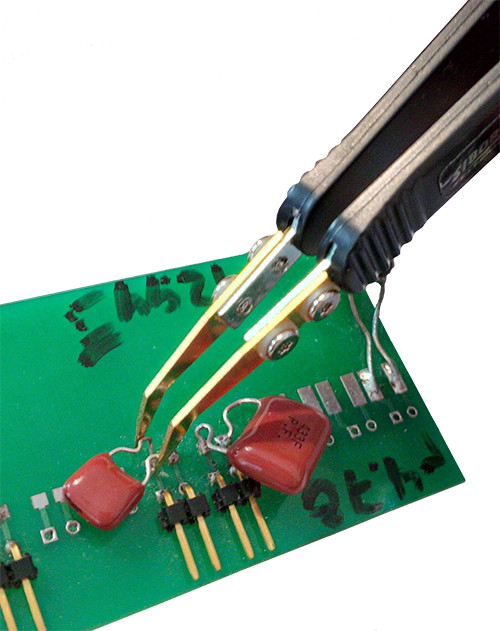 The LED Test Tweezers use a 12VDC output with variable current outputs of 5mA, 10mA, and 20mA. 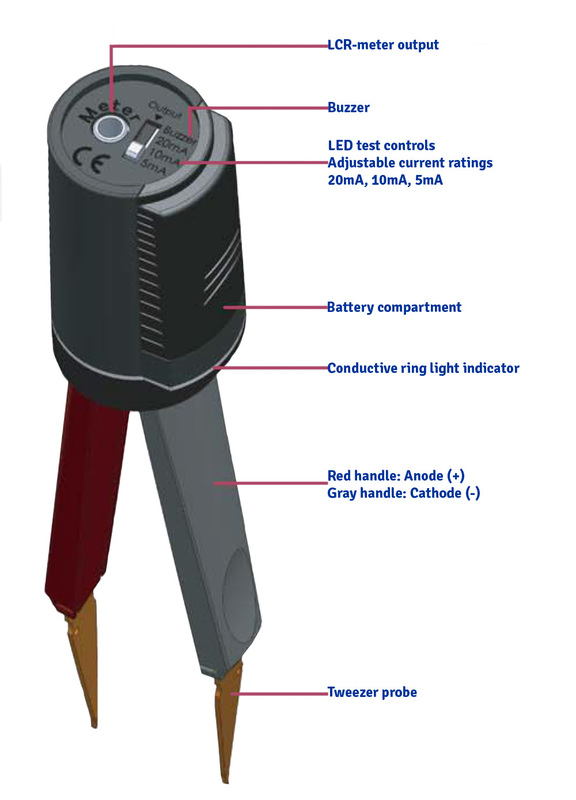 Determining polarity is as easy as looking at the colour-coded arms; red for anode (+) and grey for cathode (-). The LED Test Tweezers can become the probes for a multimeter. 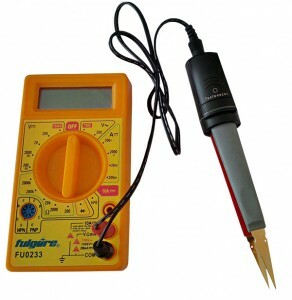 Using the connector cable that comes with the device, plug the LED Test Tweezers into a multimeter and the bronze phosphor tweezers can be used as the probes. 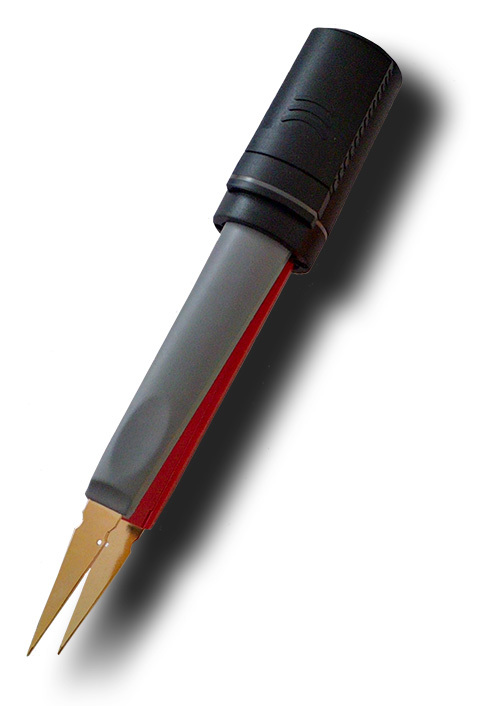 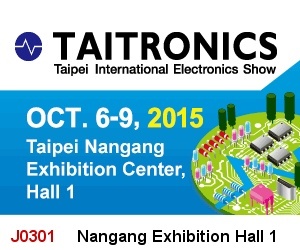 The sharp tweezers are able to reach even the smallest components mounted on a PCB or loose. 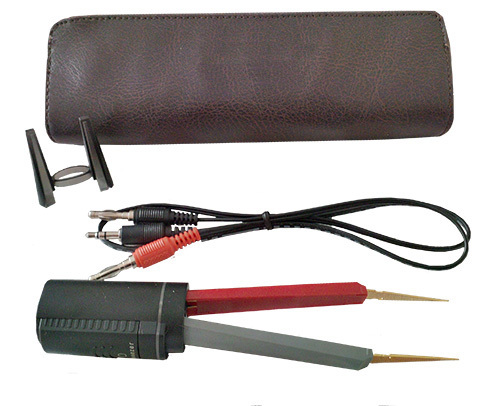 The device is only 15cm long and weighs 50 grams, perfect for professionals like engineers, etc. that need a lightweight device to take into the field.